After preparing the 14 pound turkey for the 4th Annual Friendsgiving I now have more turkey leftovers than I know what to do with! You may be in a similar situation so here is an easy, one-pot chili recipe that will put a new spin on your turkey leftovers. 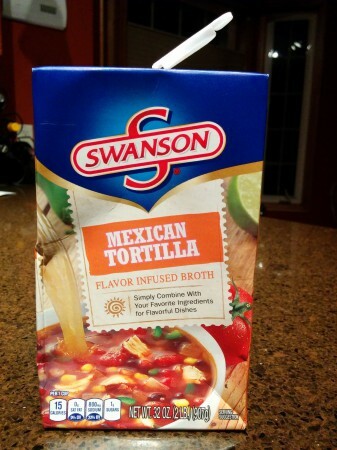 This may seem like a shameless plug but I am addicted to Swanson’s new Flavor Infused Broth Products. If you haven’t checked them out yet I highly recommend trying the “Thai Chicken and Vegetable Soup” recipe on the side of the Thai Ginger box. In a large pot combine the cooked and shredded turkey, fire-roasted whole kernel corn, chopped green chiles, garlic powder, oregano, cumin, chili power, and Swanson’s Mexican Tortilla Flavor Infused Broth. Next, heat ingredients over medium heat and stir occasionally. As the broth mixture is heating, drain and rinse the can of cannellini beans (white kidney beans). Add the rinsed beans to the broth mixture and simmer. 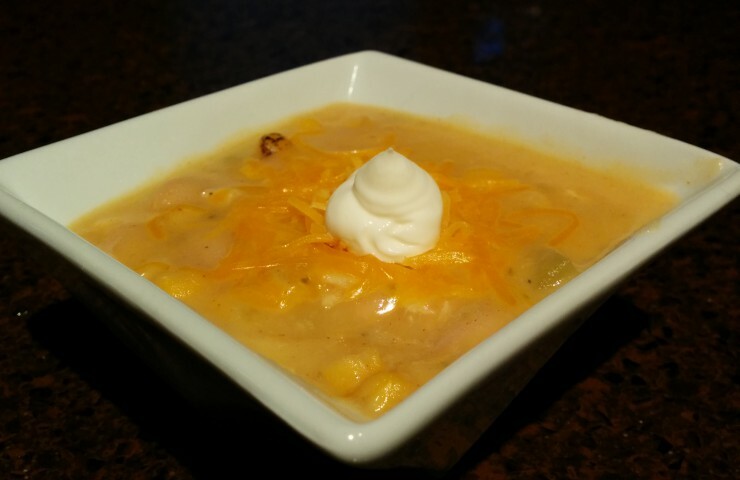 All of the white “chicken” chili recipes I found online seem to end here, resulting in a chicken broth soup instead of a traditional hearty chili. So to thicken the chili I used my trusty secret ingredients and added 1 cup of instant mashed potato flakes and 1/4 cup of heavy cream. I find myself using this potato flake/heavy cream combination to create many cream based soups. I like this thickener more than using a roux (flour and melted butter) or thick slurry (cornstarch and cold water) as it adds slight texture and doesn’t make your soup taste as starchy. Now you can add this thickener to your list of cream based soup secrets too! 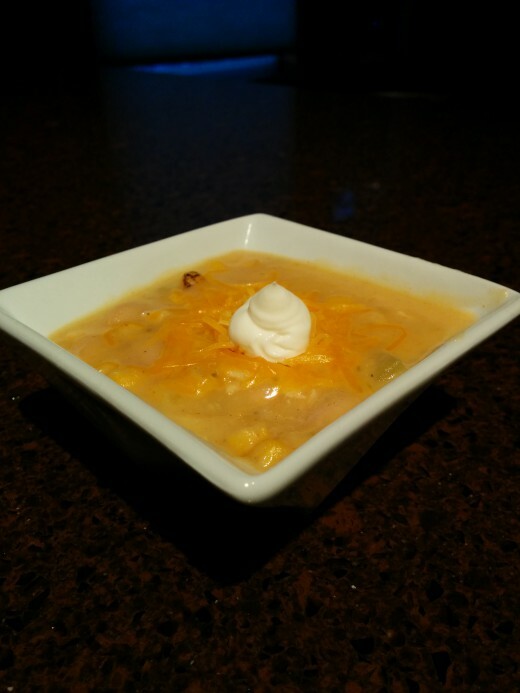 Serve the white turkey chili with shredded cheddar cheese, chopped onion, and sour cream. Enjoy! In a large pot combine cooked and shredded turkey, fire-roasted corn, chopped green chiles, seasonings, and the box of Swanson's Mexican Tortilla flavor infused broth. Heat on medium heat and stir occasionally. Drain and rinse cannellini beans and add to broth mixture. Add instant mashed potato flakes and heavy cream to chili. Stir until there are no lumps. Serve with shredded cheddar cheese, chopped onion, and sour cream. Enjoy!